McCormack requests an income projection for commissions received by International Merchandising Corporation(IMC) and International Literary Management(ILM) by Cordon Bleu and lists some considerations. 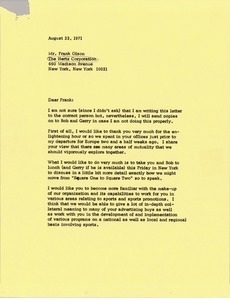 Requesting a list of Arnold Palmer's 1970 exhibitions and speaking engagements. Discussing IMG and Scandinavia. 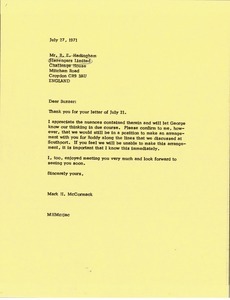 McCormack is frustrated about their lack of progress and confused about their relationships with Bjorn Wagnsson and Ole Fredriksen. 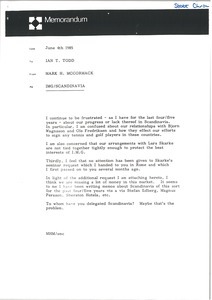 McCormack is also concerned about their relationship with Lars Skarke. McCormack would like confirmation that they would still be in a position to make an arrangement with Slazengers for Roddy. 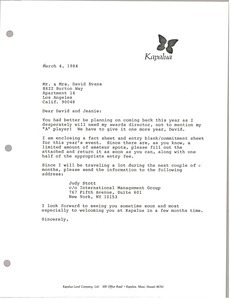 McCormack gives notice for the Kapalua event and send a commitment sheet. Enclosure not with letter. 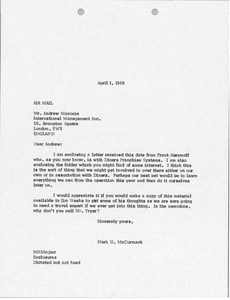 Enclosing several items of interest to Maconie including a letter from Frank Abramoff who is associated with the Diners Franchise Systems. McCormack suggests forming a similar operation after spending a year observing theirs. 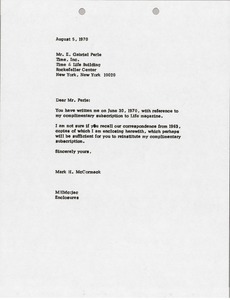 McCormack asks that a copy of the enclosed be provided to Jim Weeks and asks that Maconie call a Mr. Fryer. Enclosure not with letter. 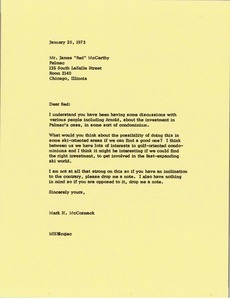 McCormack would like to discuss Palmac's investment in some sort of condominium. 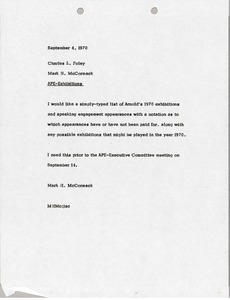 McCormack is curious if McCarthy would consider the possibility of doing this in some ski-oriented areas. 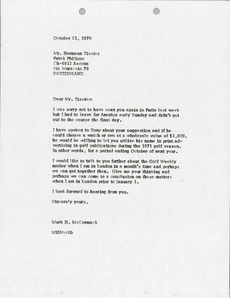 McCormack has spoken to Tony Jacklin about receiving a watch or two in exchange for using his name in print advertising in golf publications during the 1971 golf season. 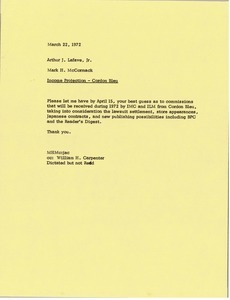 Concerning the reinstatement of McCormack's complimentary subscription to Life magazine.